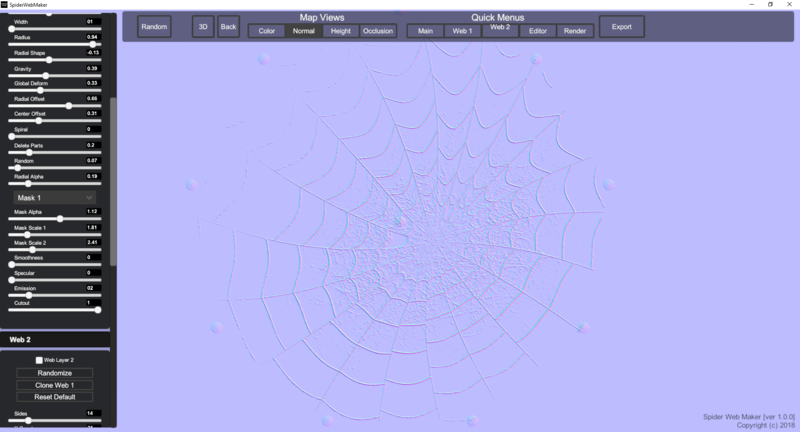 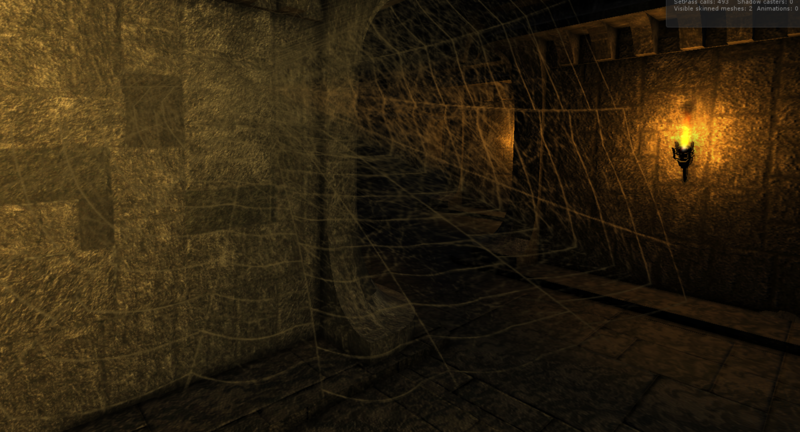 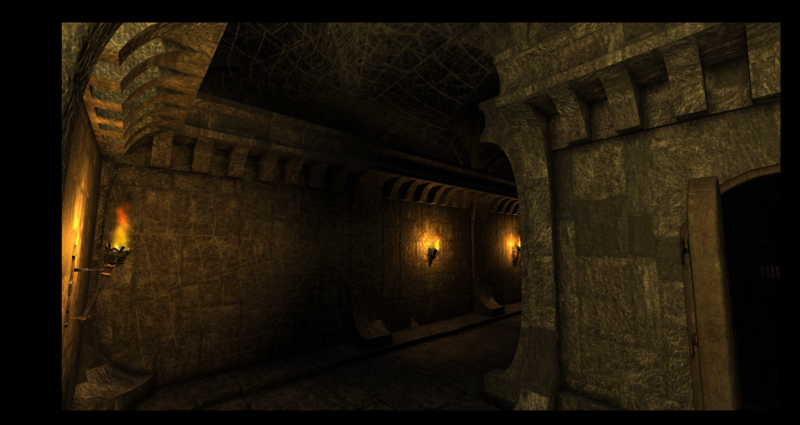 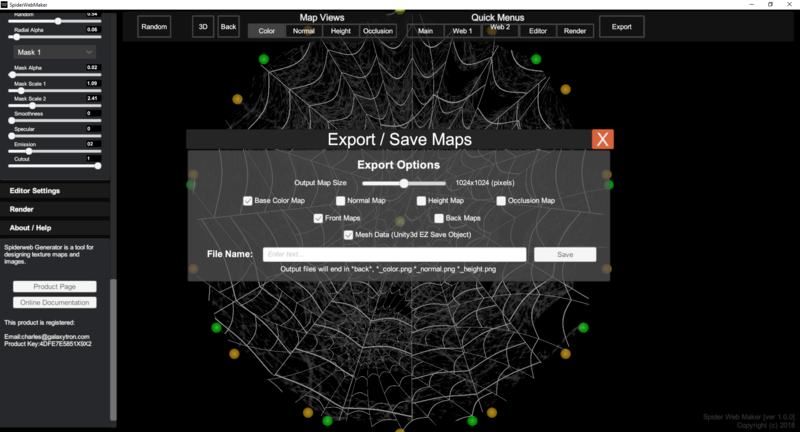 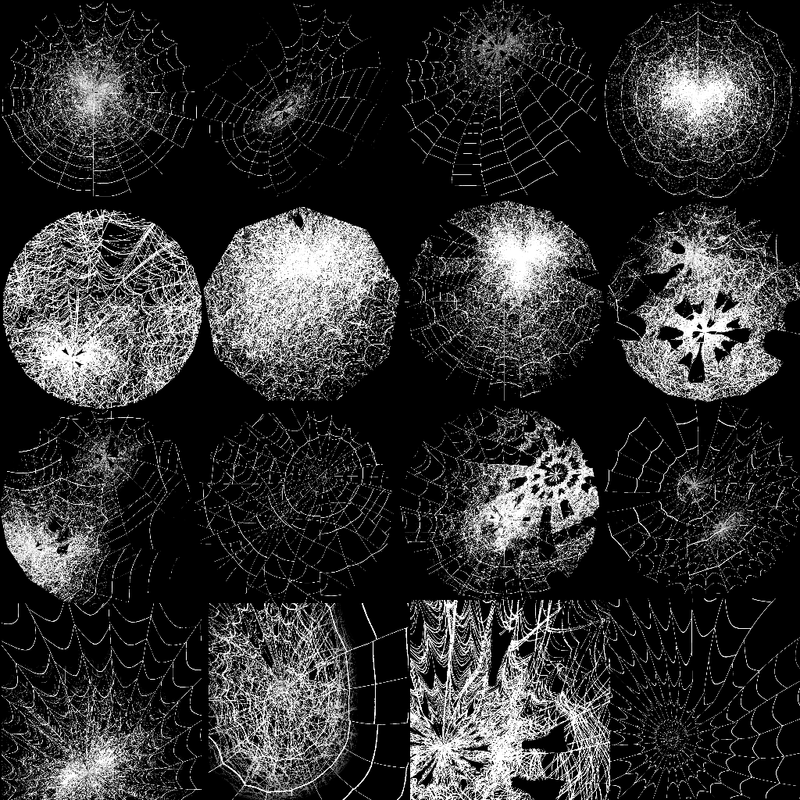 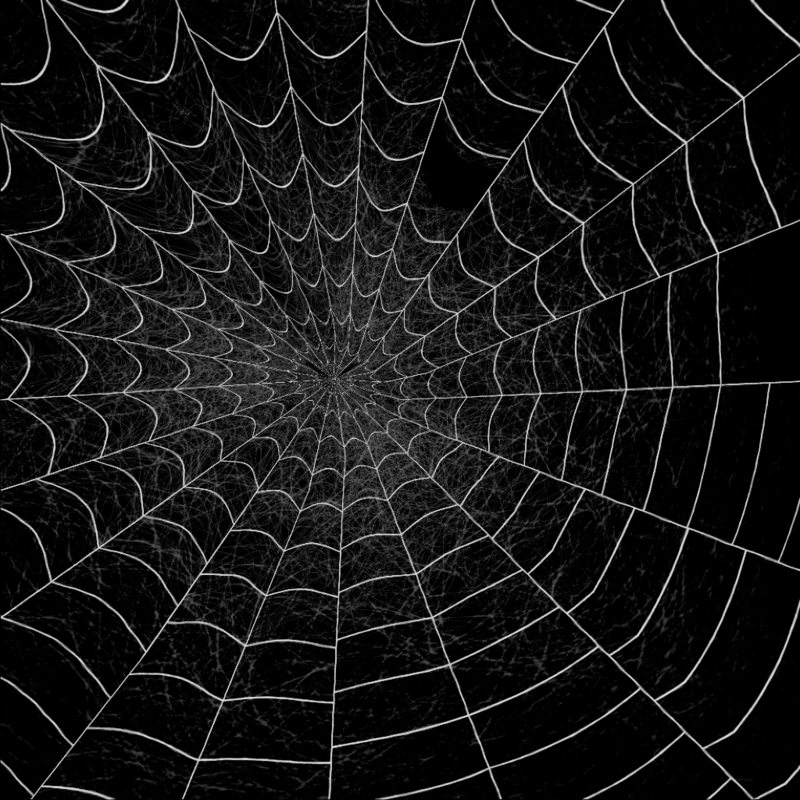 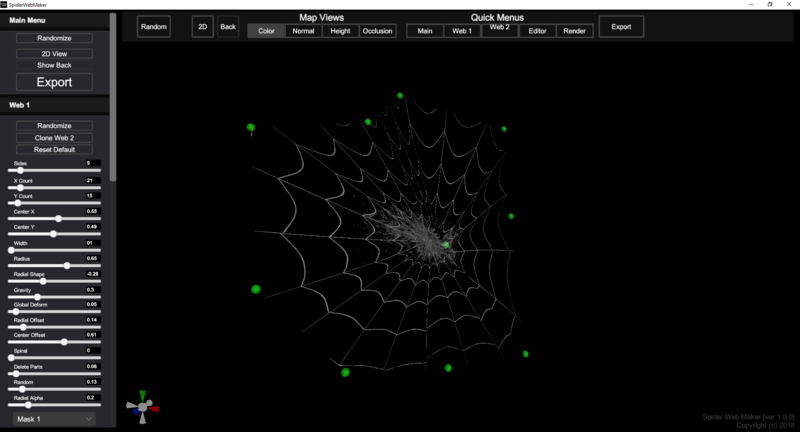 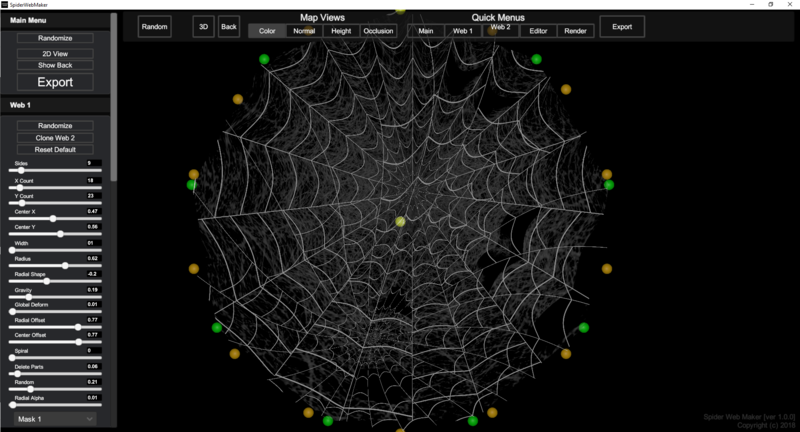 Spider Web Maker creates complex spider webs and cobwebs texture maps and images you can use in games or art projects and websites. 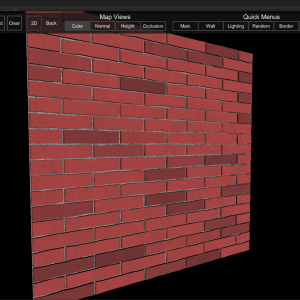 This program can export Color/Albedo maps, Normal/Bump maps, Height maps and Occlusion maps that can be used in 3D Games or graphic design. 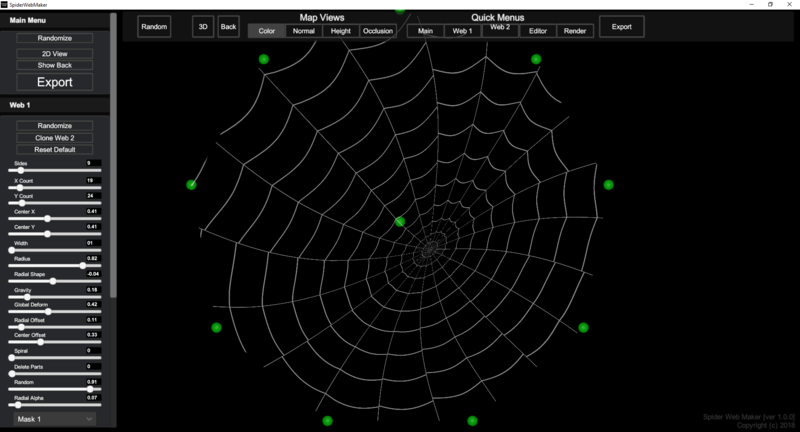 Spider Web Maker is currently only available for Windows 7/8/10 (32bit & 64bit) systems.